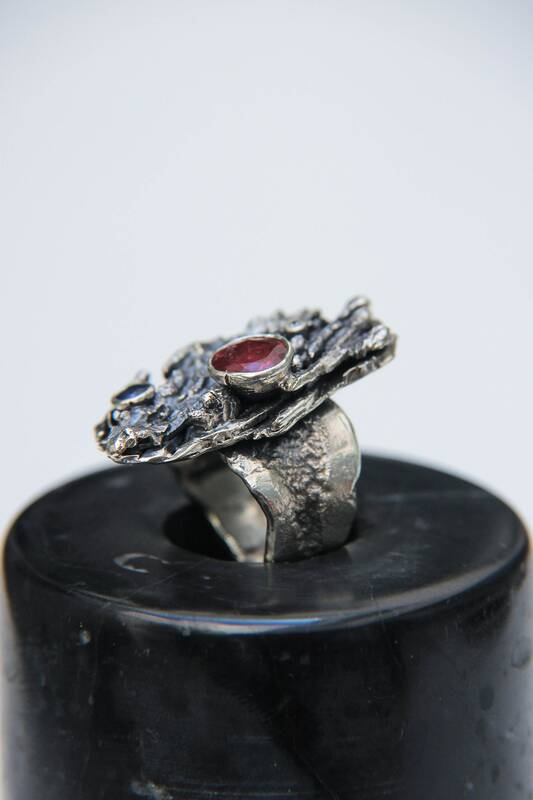 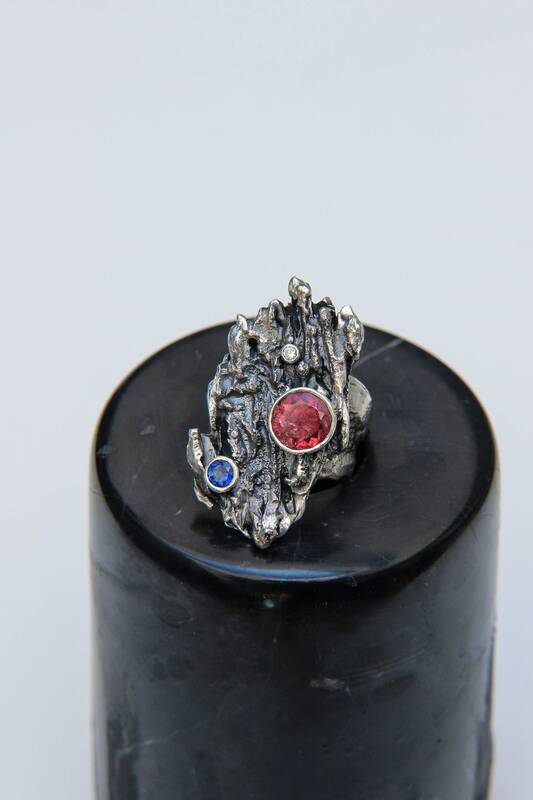 Rough sterling silver ring features cosmic design with three gemstones: pink tourmaline, blue topaz and white cubic zirconia. 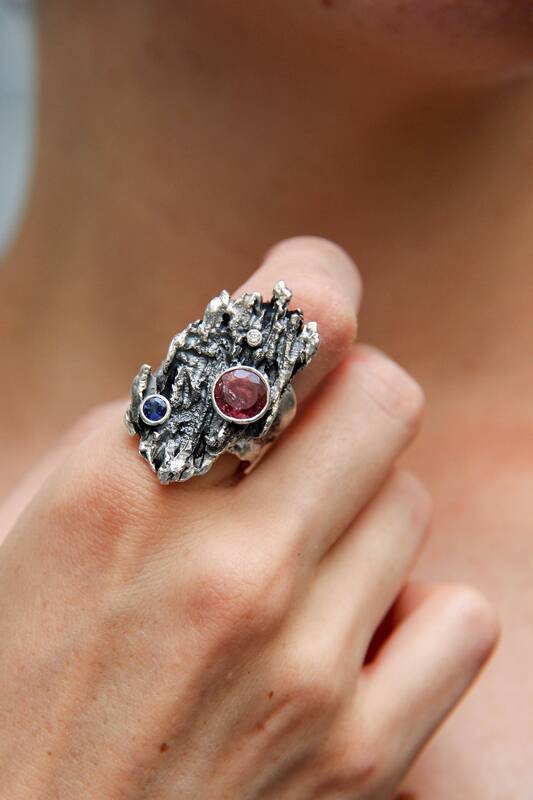 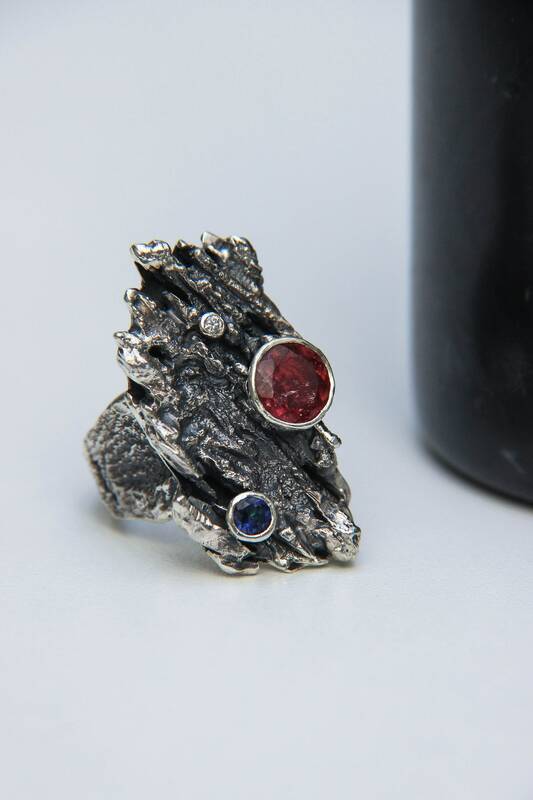 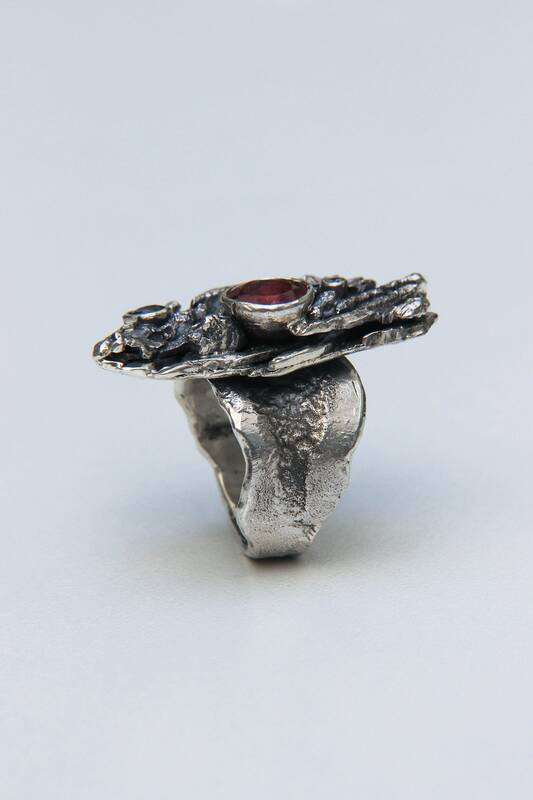 Cosmic statement ring is hand-sculpted from recycled silver using traditional techniques which guarantees uniqueness of this modern jewelry piece. 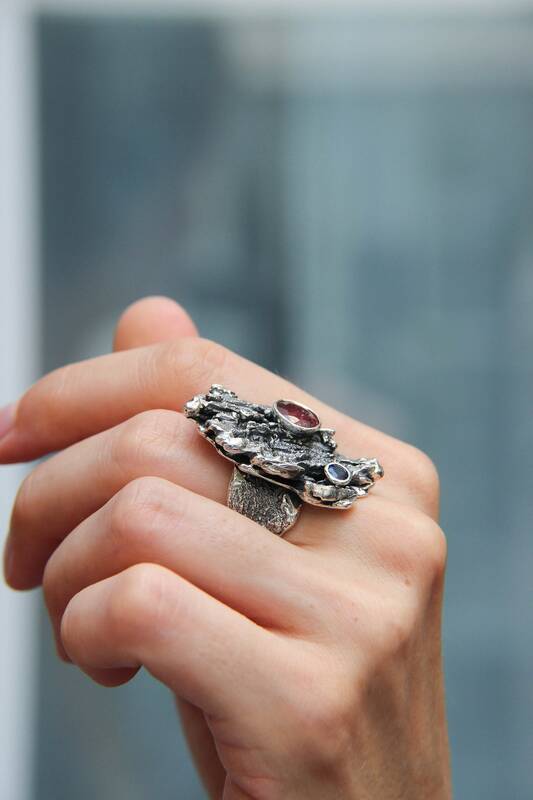 Silver was reticulated and formed into abstract shape. 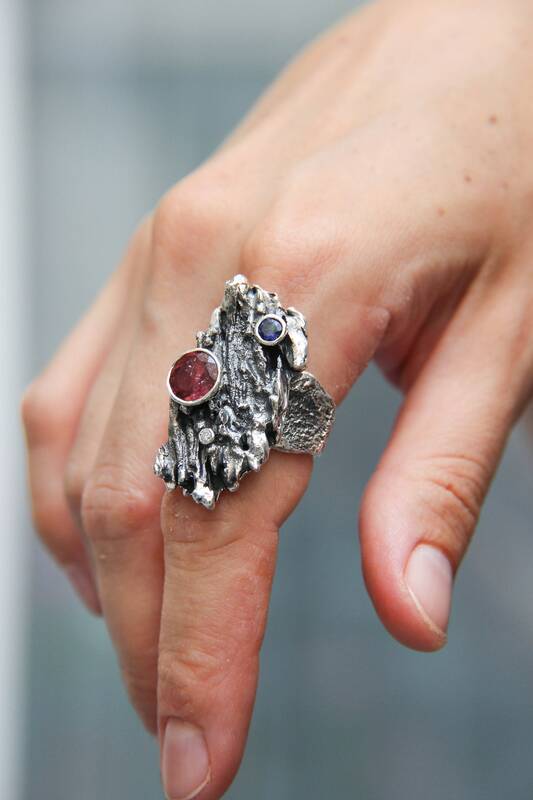 This bold ring feels comfortable on a hand and will make an unforgettable gift for any woman who admires unusual jewelry. 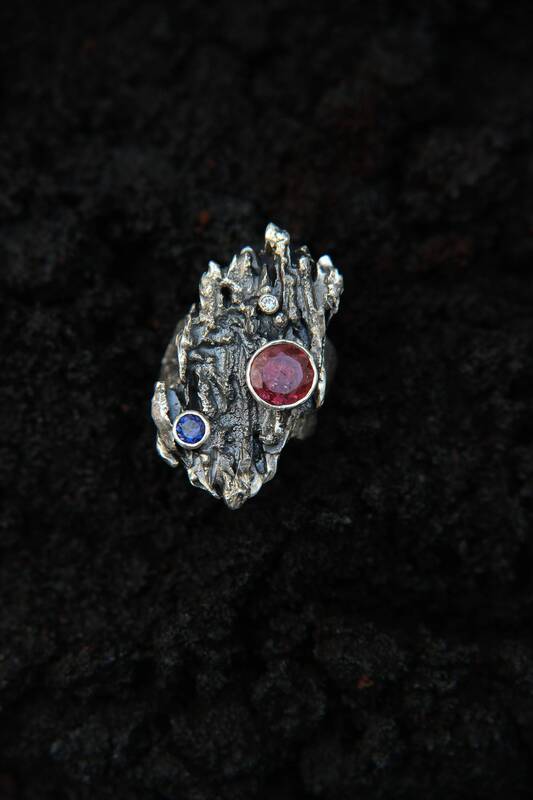 We can make any cosmic jewelry by request, from silver, mixed metals or entirely from gold. 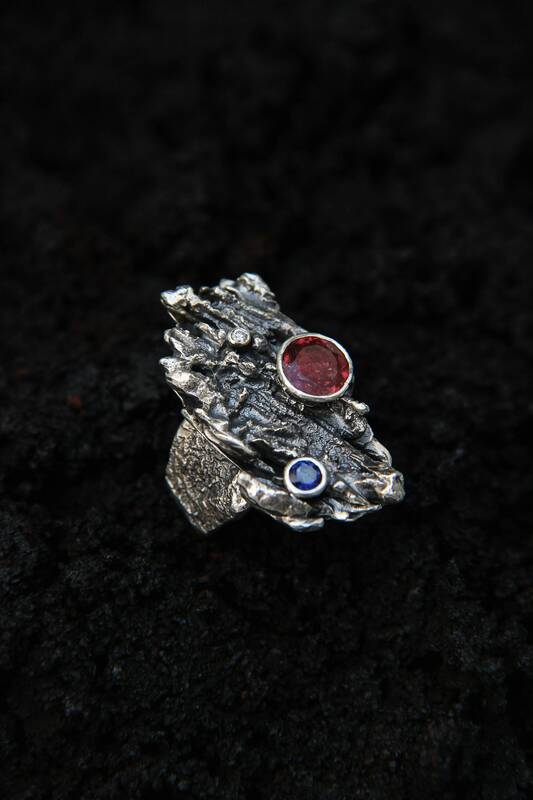 Your unique piece will be designed and handcrafted individually for you.